Chrissy Steltz’s decision to be a co-host at a house party during the spring break season of March 1999, she had no idea that this choice would lead to the loss of her face. She and her friends were drinking when she called friends back to a room where she kept orange juice to see if they wanted any. Inside the room, a guest noticed that there was a shotgun and picked it up. Steltz, then 16, warned him to put it down, but he insisted it wasn’t loaded – and within a few moments, he was proved wrong. Steltz was shot by the guest on accident, right at point-blank range in her face. 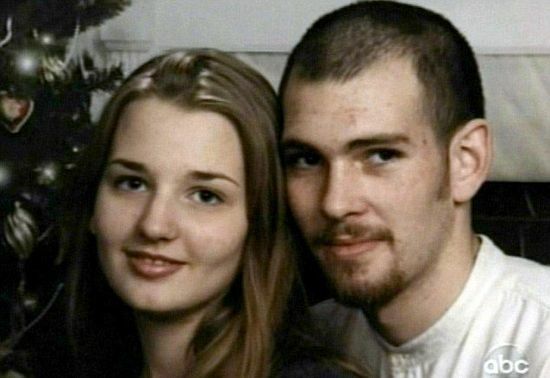 Her then boyfriend, Will O’Brien, was horrified when he came upon her state a short while later and had her rushed to a hospital. 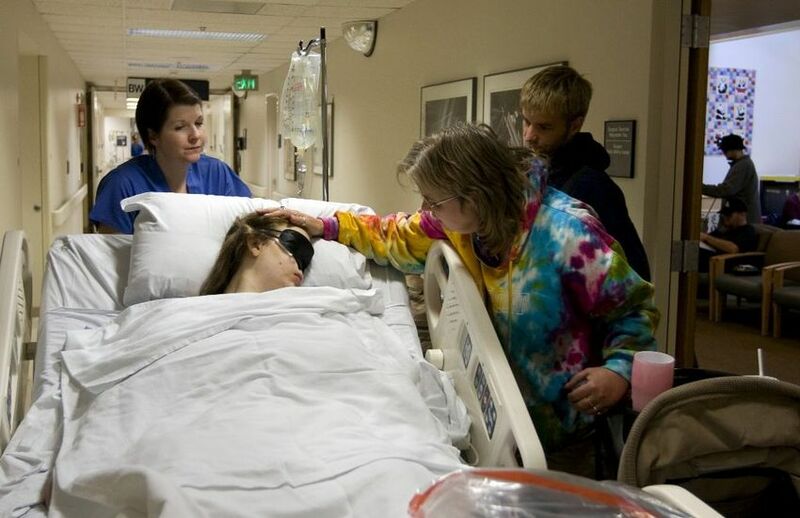 Surgeons were able to save Steltz’s life, but the gunshot had taken out around 3/4 of her face, and they hadn’t been able to save her eyes or her nose. Steltz also sustained some degree of brain damage. According to one of the operating surgeons, Dr. Eric Dierks, he’d never seen someone suffer this much damage and live to tell the tale. 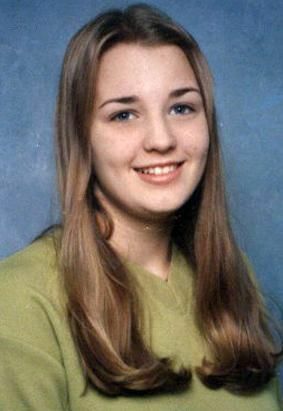 Steltz was in a drug-induced coma for six weeks before she awoke. When O’Brien explained what had happened to her and how she would likely never be able to smell or see again, her world turned upside down. But, being the strong person she is, she knew that her two options were to learn what to do and how to carry on, or to sit around, mope and throw a pity party – and she definitely didn’t want to do the latter! 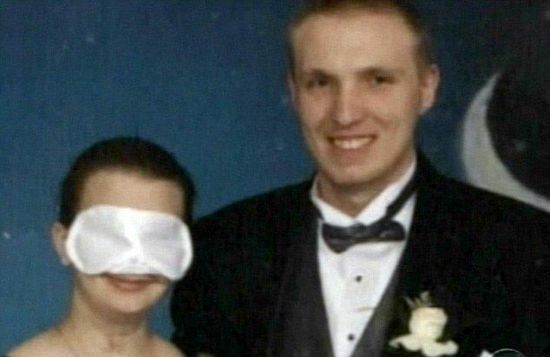 Steltz put on a black sleeping mask that covered her injuries wherever she went. Slowly, she learned braille and figured out how to use a cane, and continued studying at her high school. She finished her studies with straight As and even went to prom! 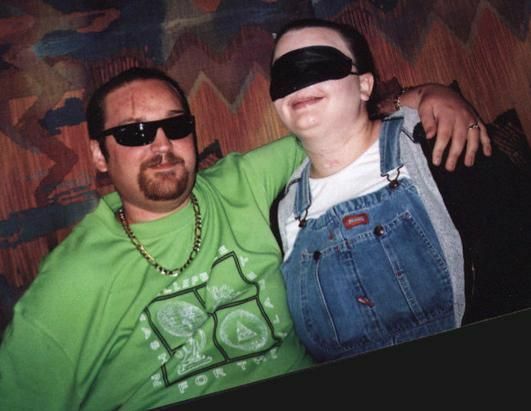 Shortly after, Steltz’s relationship with O’Brien ended, but she then met someone new in her classes for the blind – a man who had lost his sight when he was 16 because of an illness. His name was Geoffrey Dilger, and he and Steltz hit it off immediately. Flash forward seven years, and they’re a long-standing couple with a son! They’ve traveled all around the world, too! 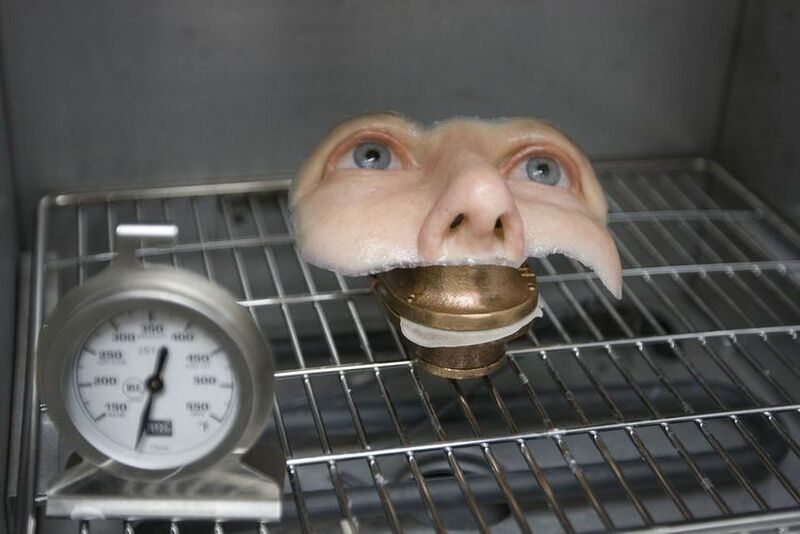 Then, in 2010, a prosthetic face was made for Steltz. 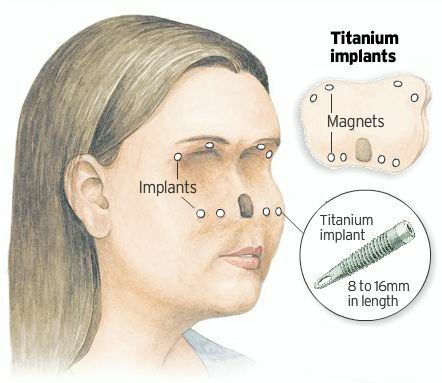 Using pictures of her 16-year-old self, maxillofacial prosthodontists created a prosthetic that would fit with the rest of her own face. The doctors behind this creation were Dr. Larry Over and Dr. David Trainer. 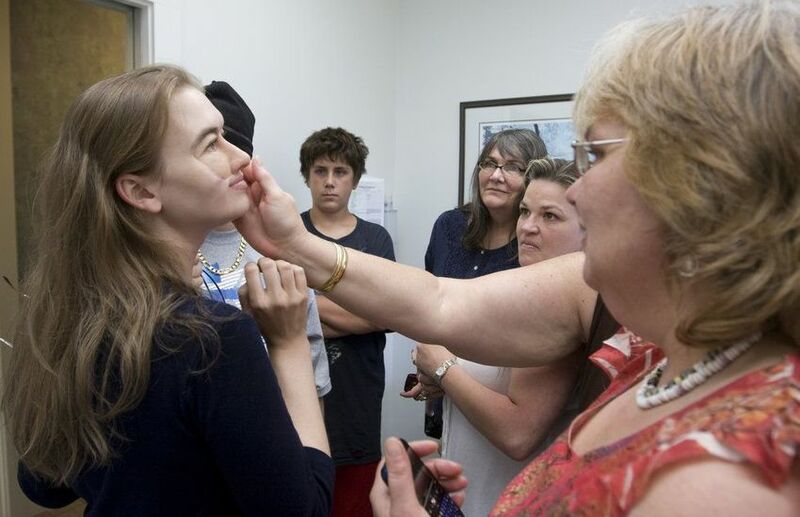 Using a mold of her face and some silicone, the prosthetic was brought to life, complete with makeup details that were baked onto it. A team of doctors then worked on removing damaged tissue, creating dental implants, and making a breathing passage through it. They even used skin grafts and bones from Steltz to make the prosthetic easy to remove and attach, with some extra help from metal plates and screws. 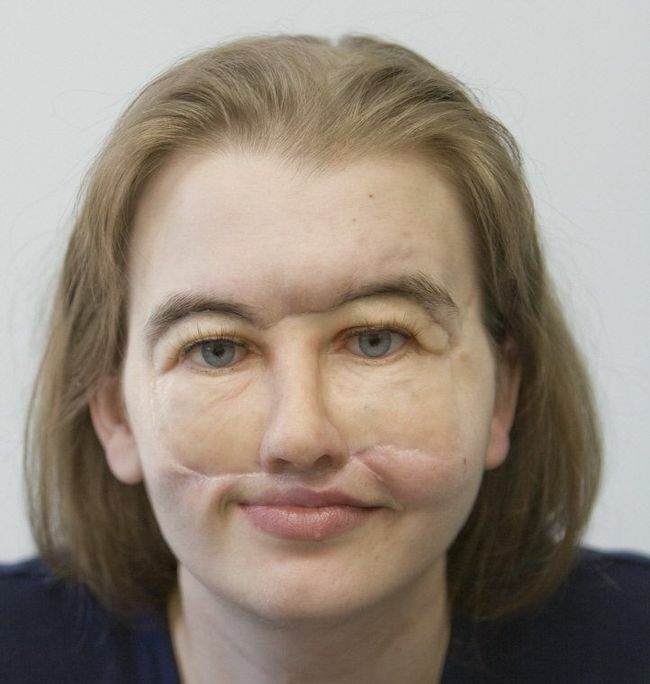 The first time Steltz had her face put on, her entire family came to the hospital to see how she’d look. Tears of joy filled the room as they saw Steltz face for the first time in a long time! It was the first time Steltz’s son saw her face, too, and he definitely didn’t mind! She now feels much less self-conscious about her appearance, and although she can feel people staring at her sometimes when she’s outside, she’s glad that it’s her face they’re staring at – not her sleeping mask. Steltz has been through a lot over the last 19 years, but her positivity and strength are incredible and has helped her through a lot of these hard times! She also says she doesn’t want people to feel sorry for her, as she’s not sorry for herself: she’s lived well, and she would rather people were proud of her for her achievements.